From Shrine to Shrine. 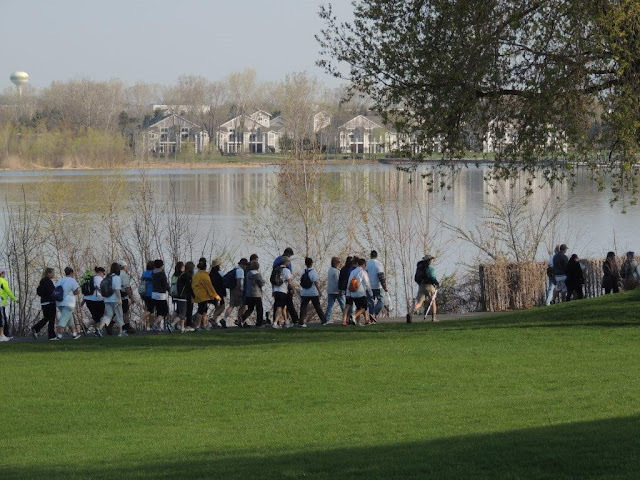 The Walk to Mary will begin its annual pilgrimage from the Shrine of St. Joseph at Old St. Joseph Church at St. Norbert College in De Pere, WI, to the National Shrine of Our Lady of Good Help in Champion, Wis. on May 5. Registration for the 6th annual event opens Feb. 11. More than 1,000 pilgrims have made the journey annually since the inception of Walk of Mary. The number is expected to double in 2018 with the participation and promotion of the event by Father Francis Hoffman, known as “Father Rocky” on Relevant Radio. As part of its opening weekend of Marian Month, The Most Reverend David L. Ricken, Bishop of Green Bay will celebrate Mass after Walk to Mary at 5:15 p.m. Saturday, May 5 at the National Shrine of Our Lady of Good Help. On Sunday, May 6 at 11 AM, Father Rocky will serve as principal celebrant at Mass with traditional May Crowning ceremony at the Shrine. To register for Walk to Mary, visit www.walktomary.com. The Greater Green Bay Area Convention and Visitor Bureau can assist with accommodations for large groups planning on attending and links are available to lodging partners on the Walk to Mary website. Shorter walking routes are available for the journey, and lunch is provided at Holy Cross Parish in Green Bay.